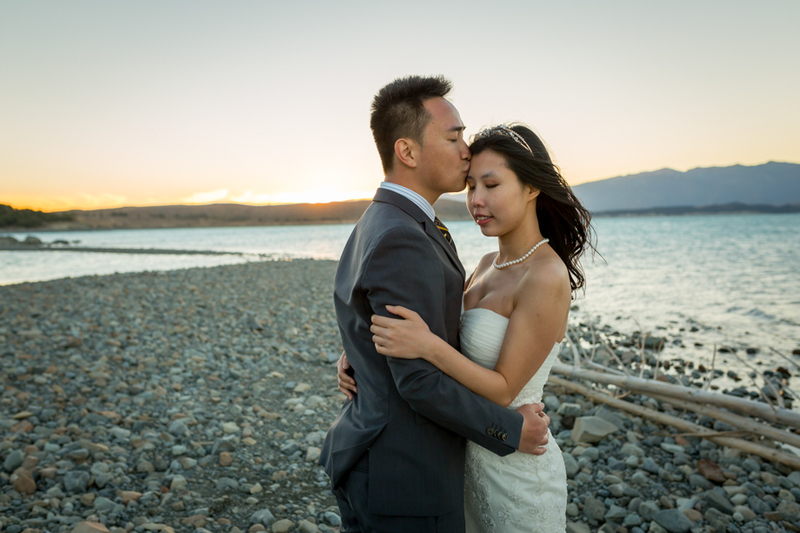 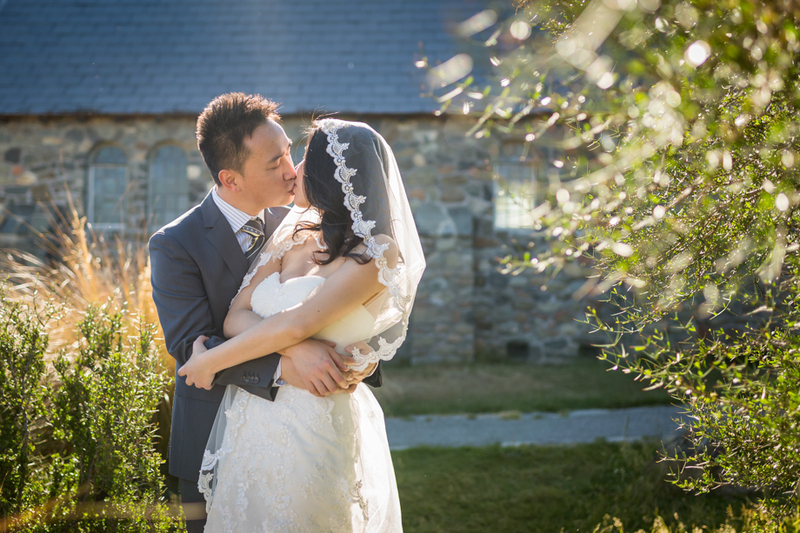 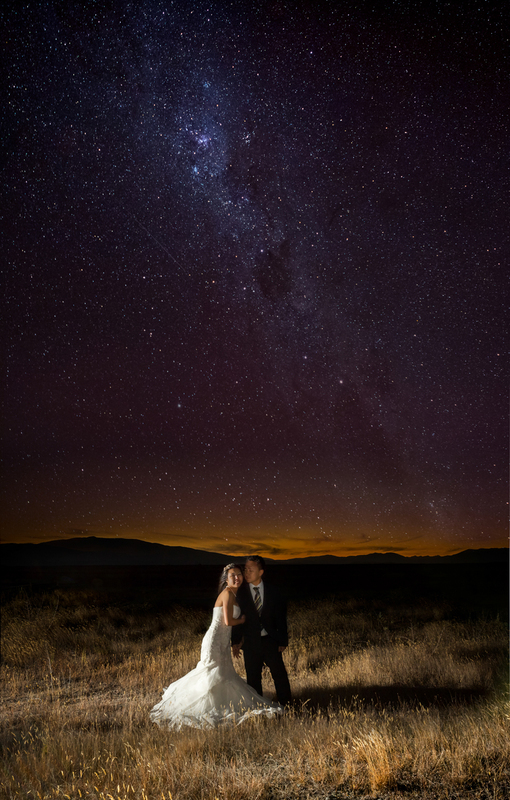 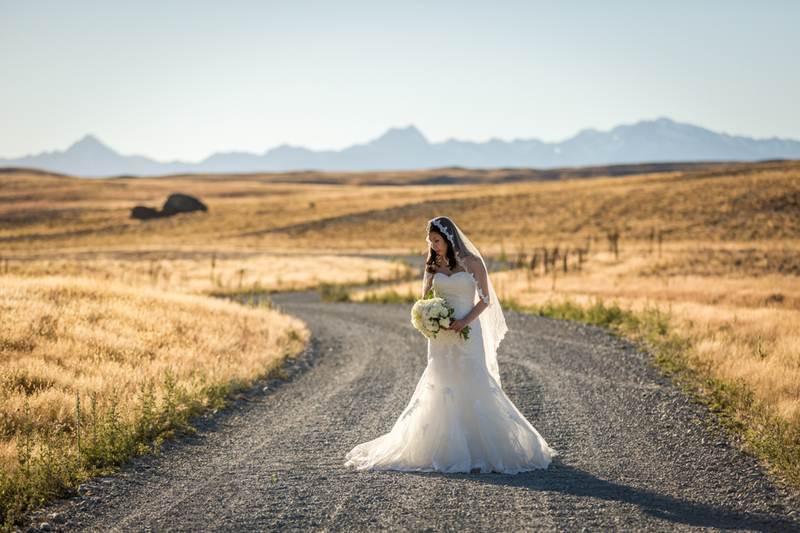 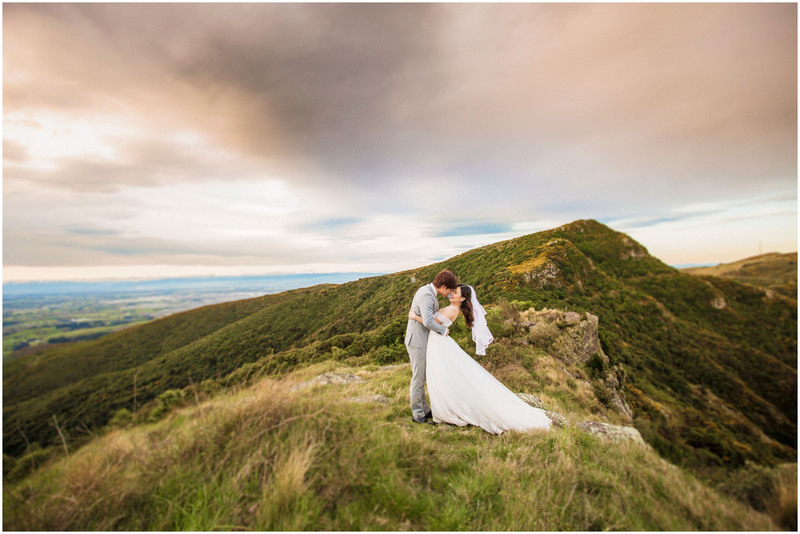 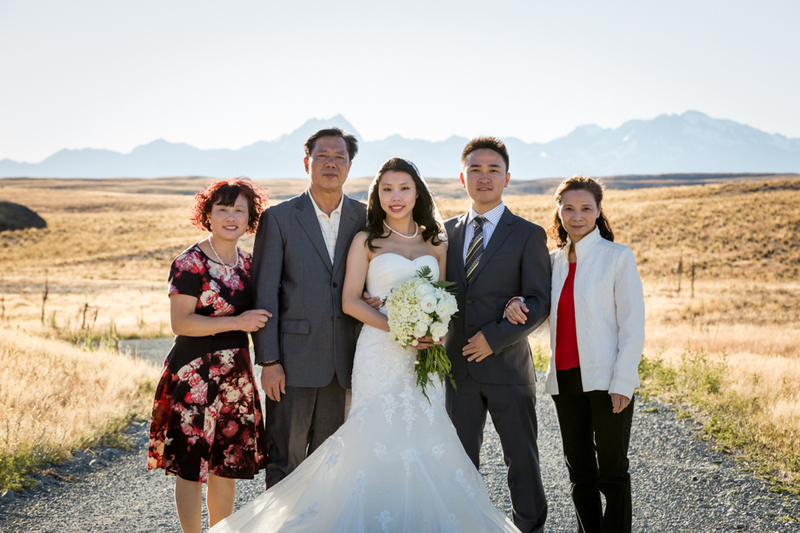 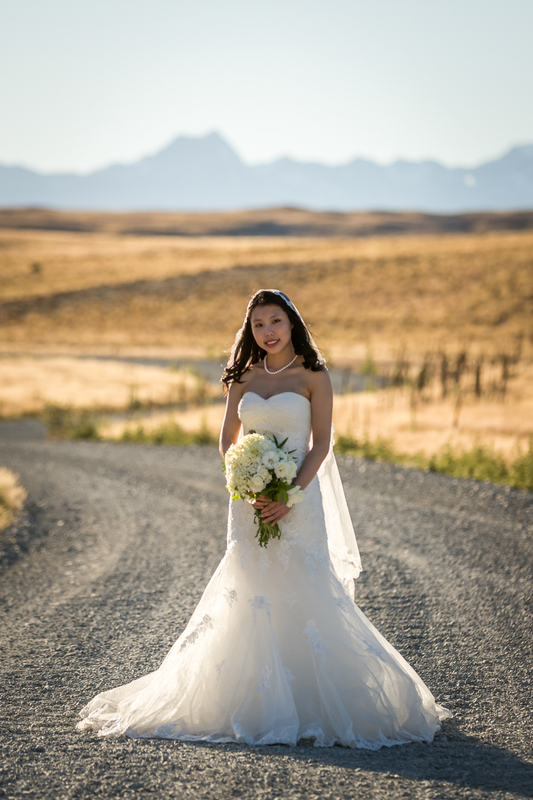 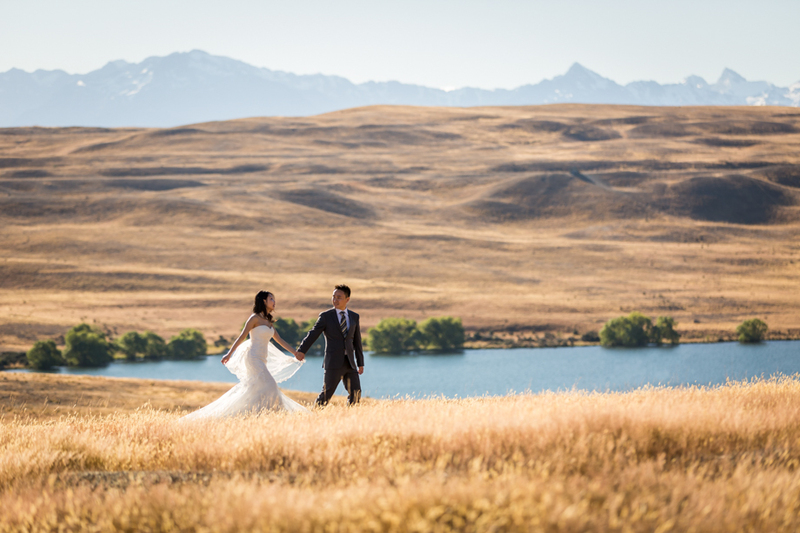 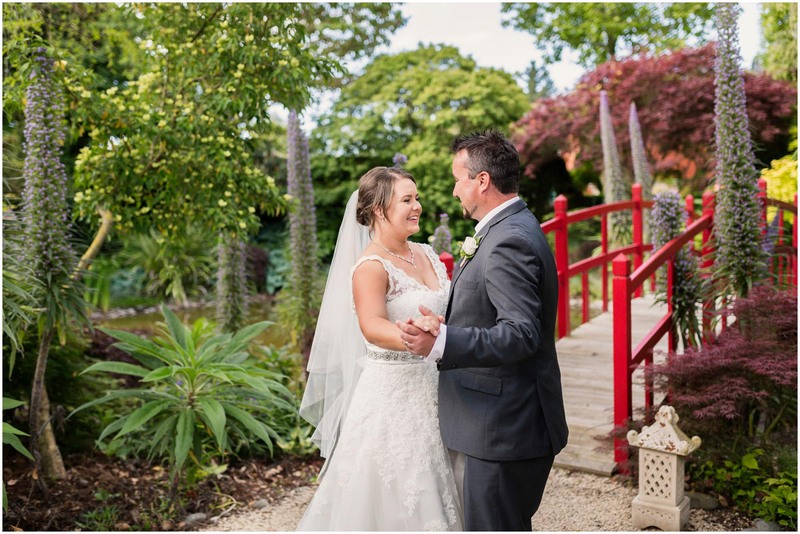 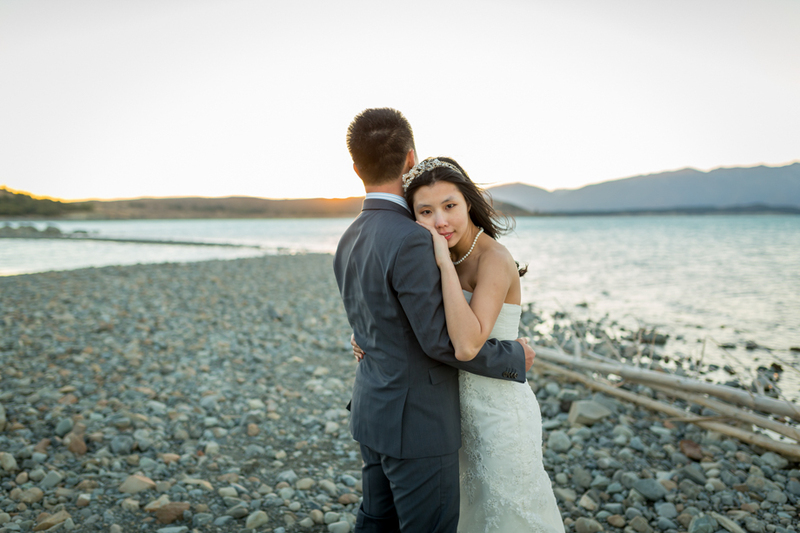 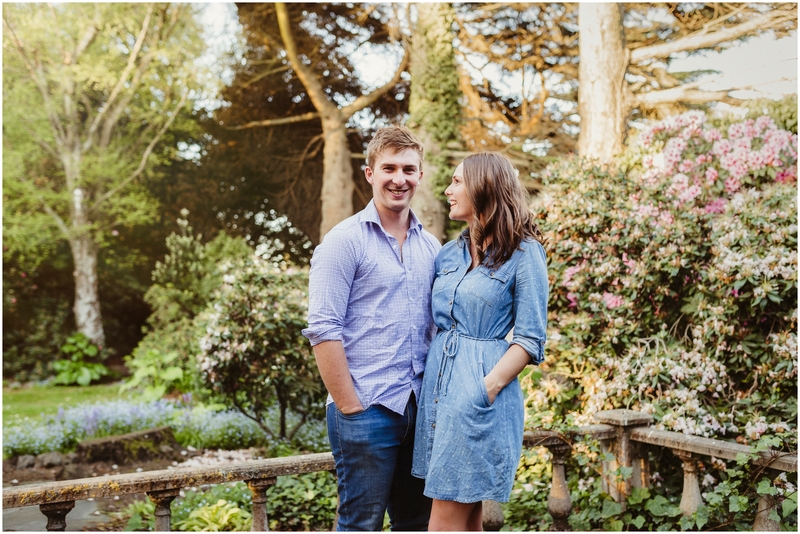 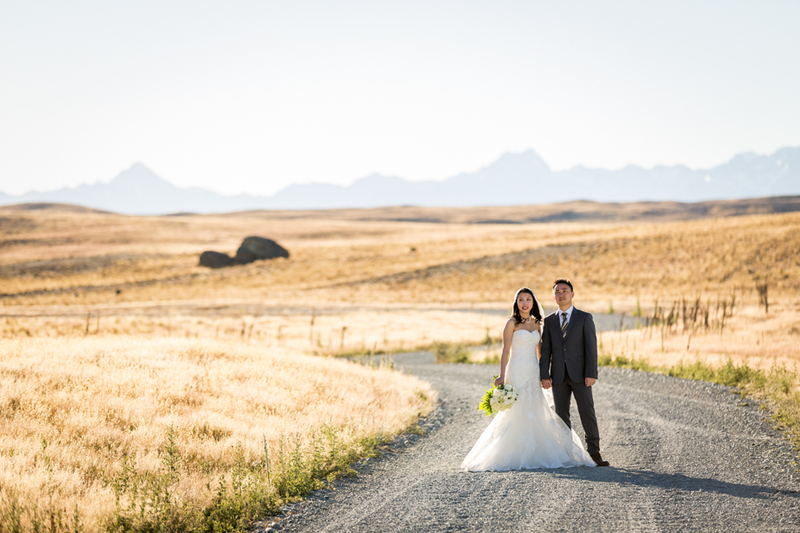 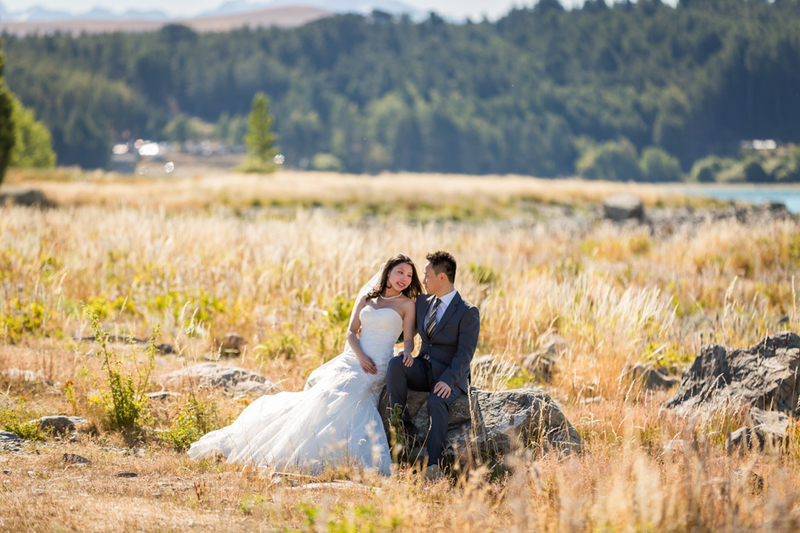 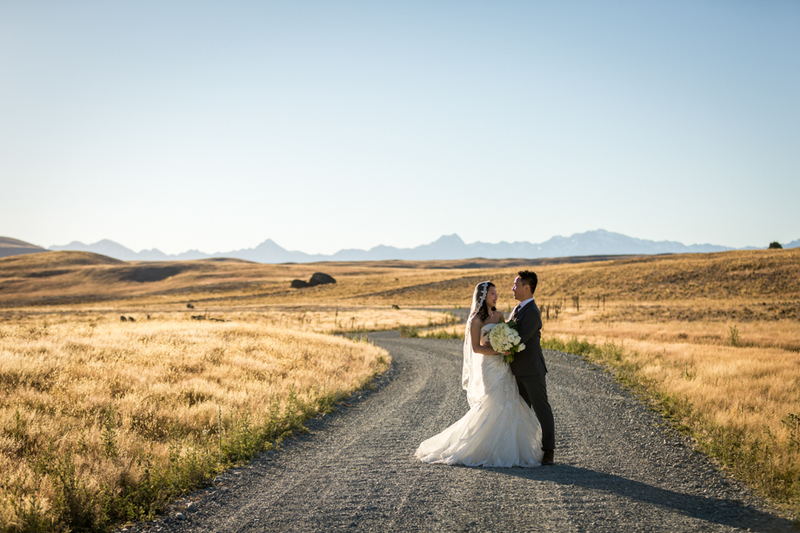 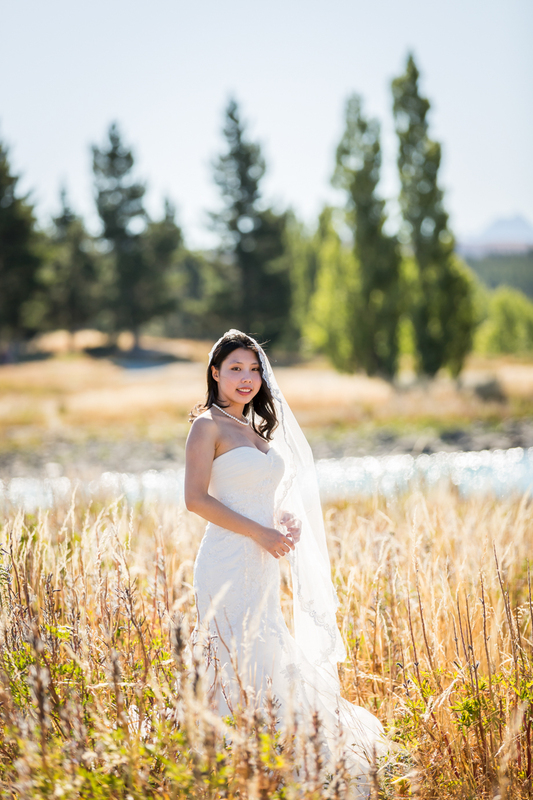 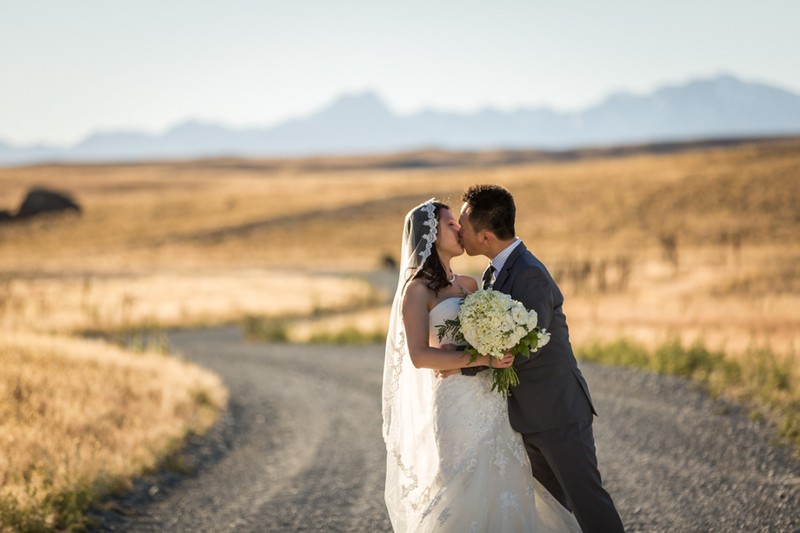 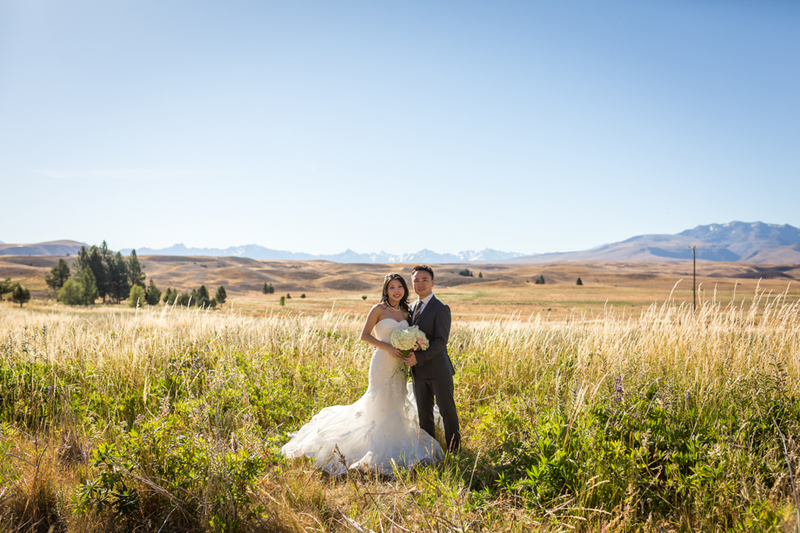 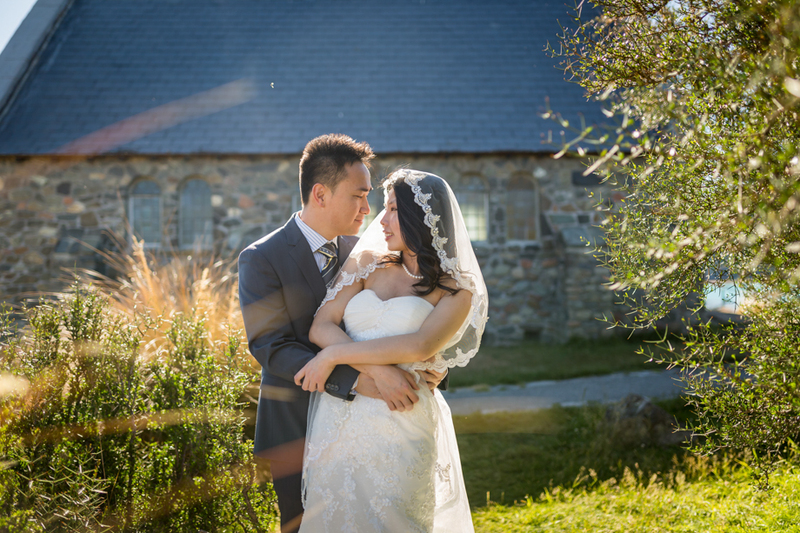 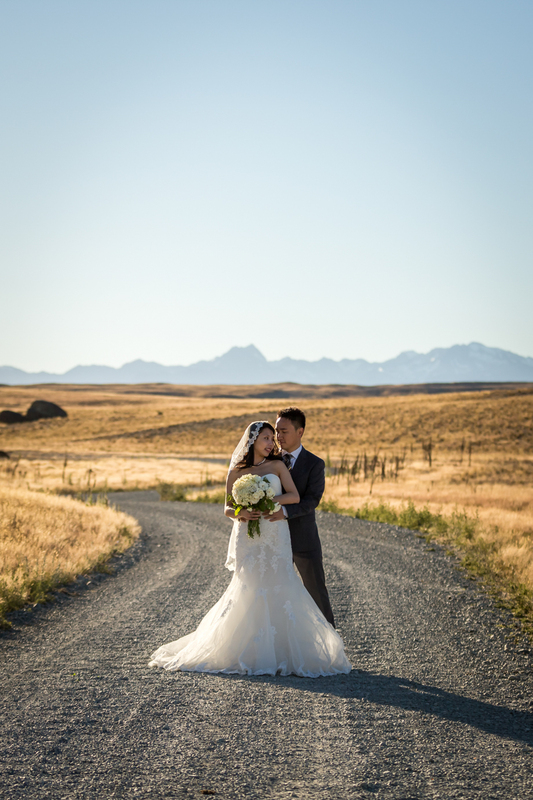 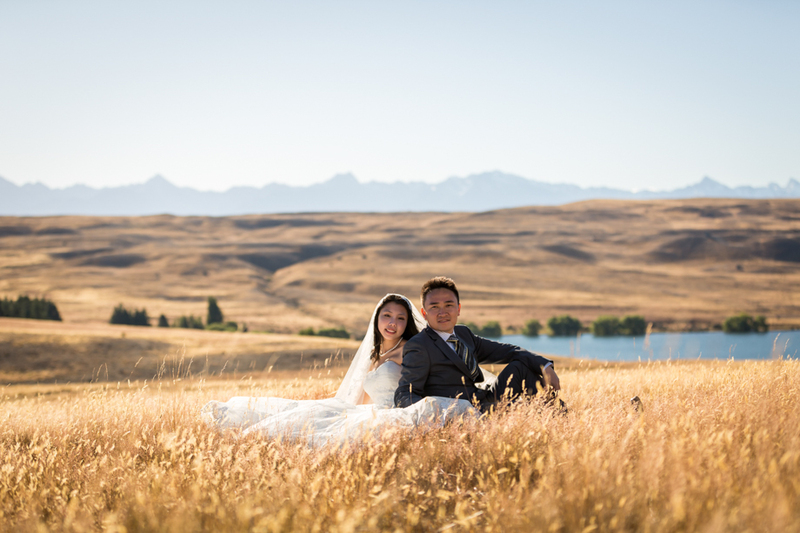 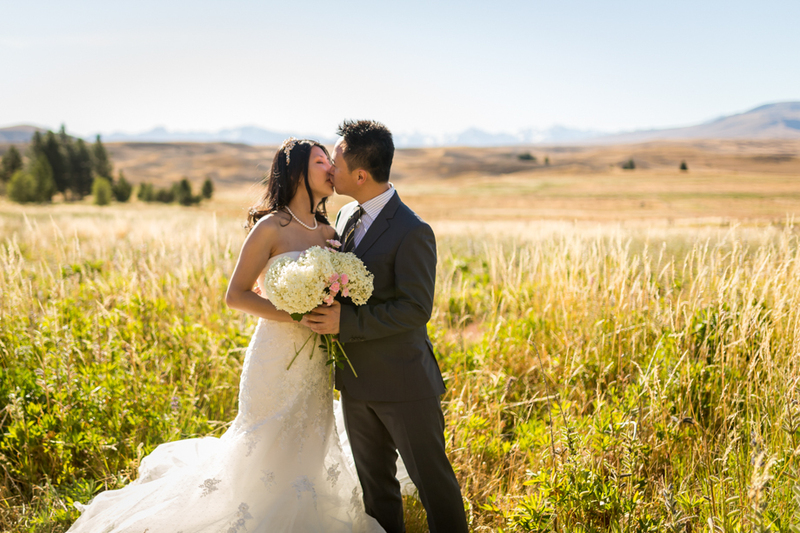 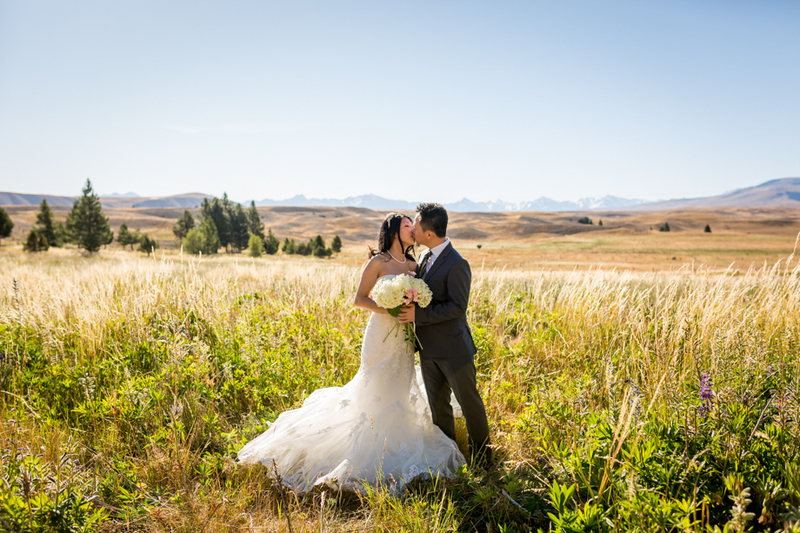 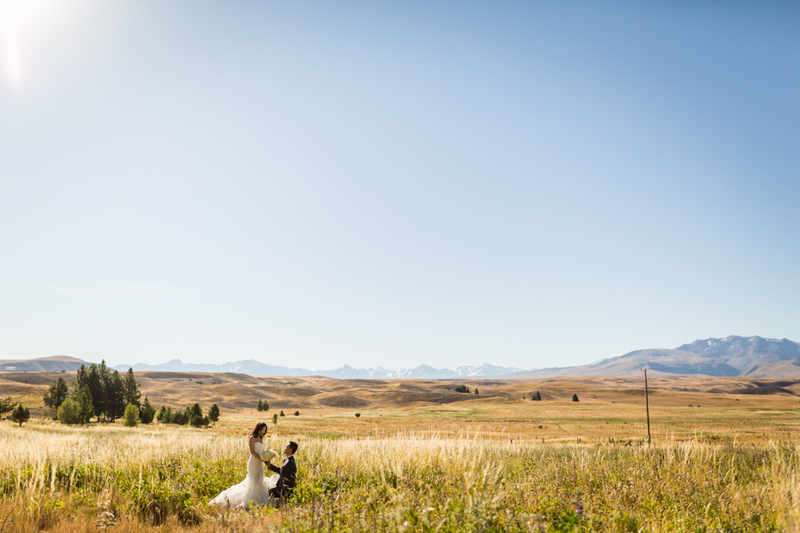 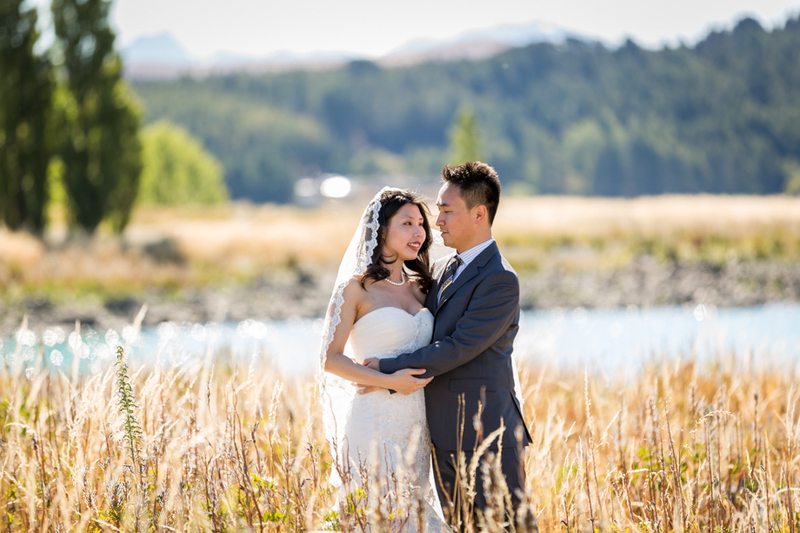 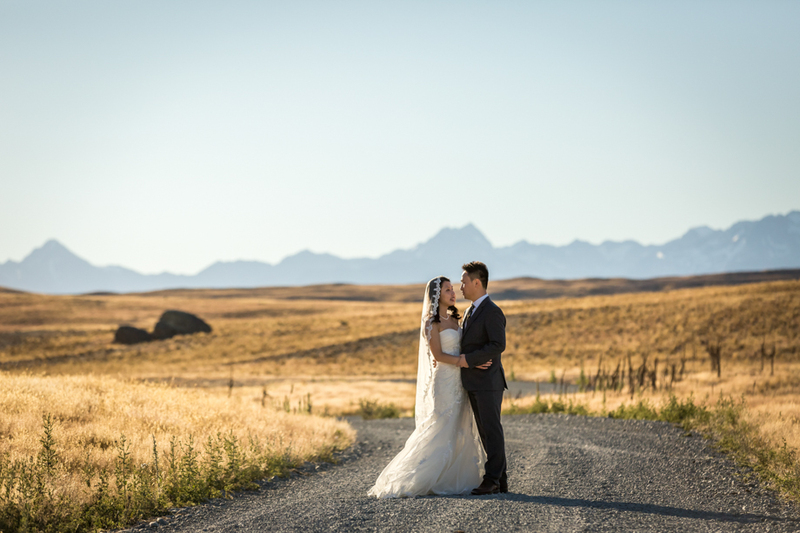 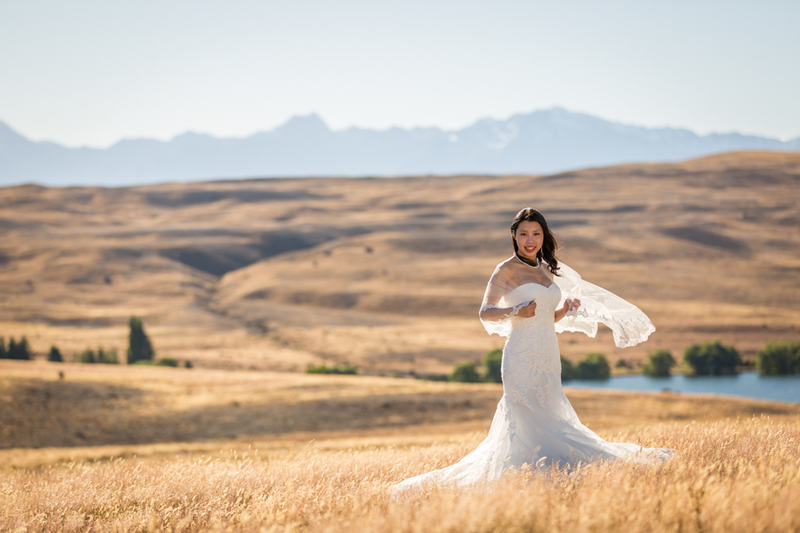 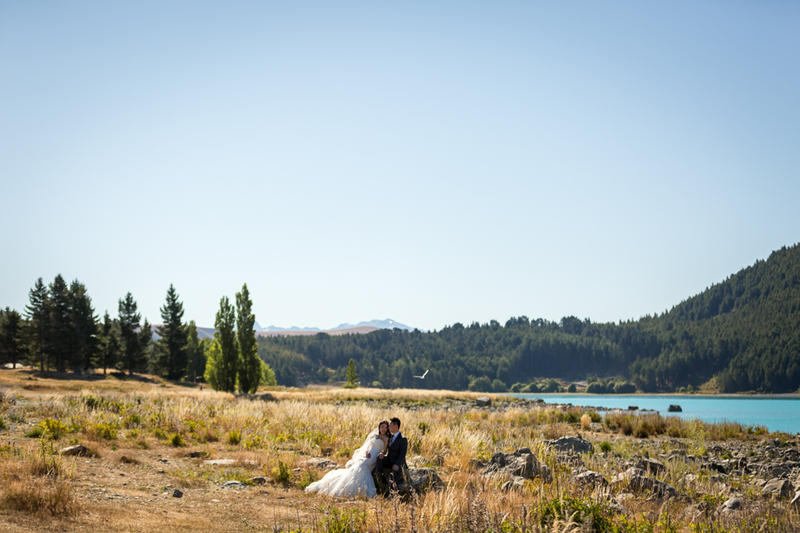 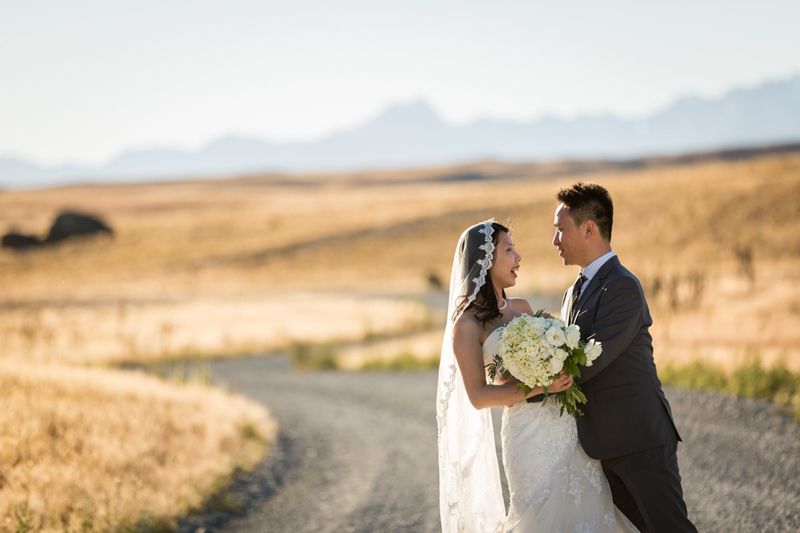 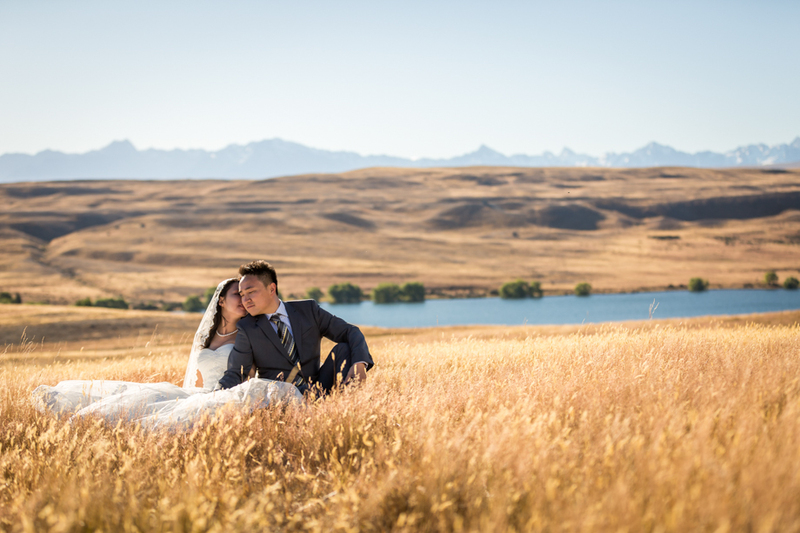 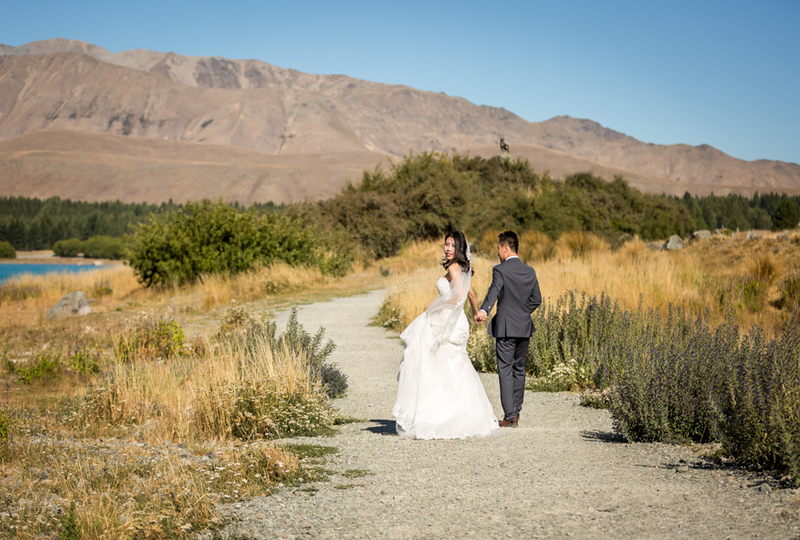 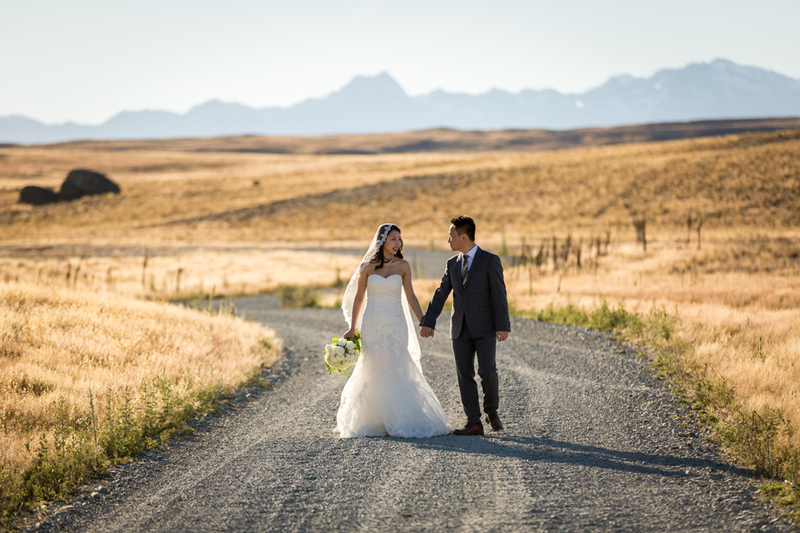 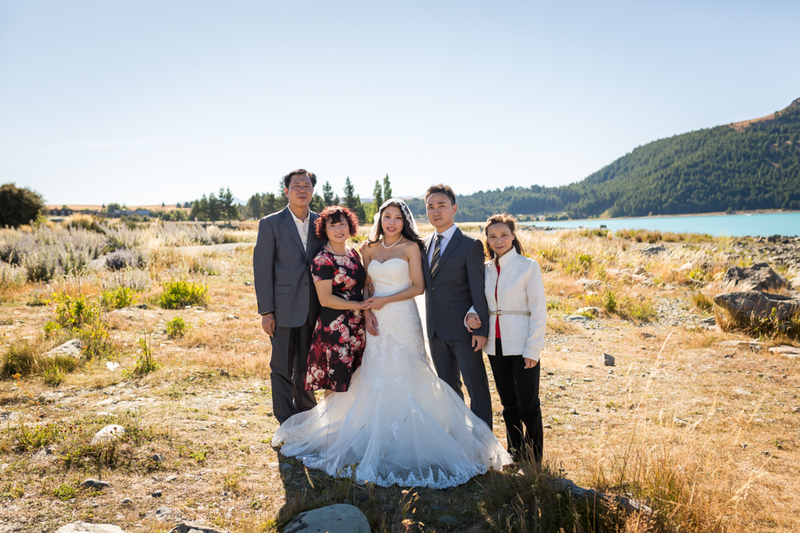 Christina and Owen came all the way from Canada to New Zealand for their wedding shoot around Tekapo. 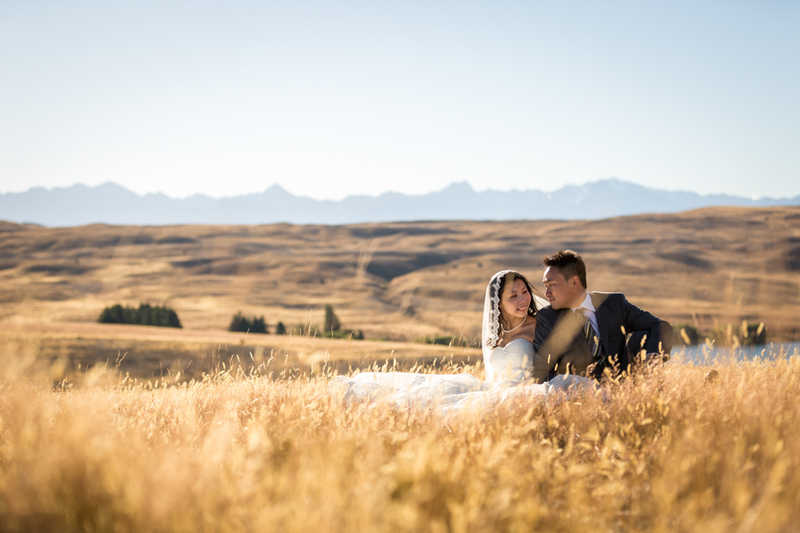 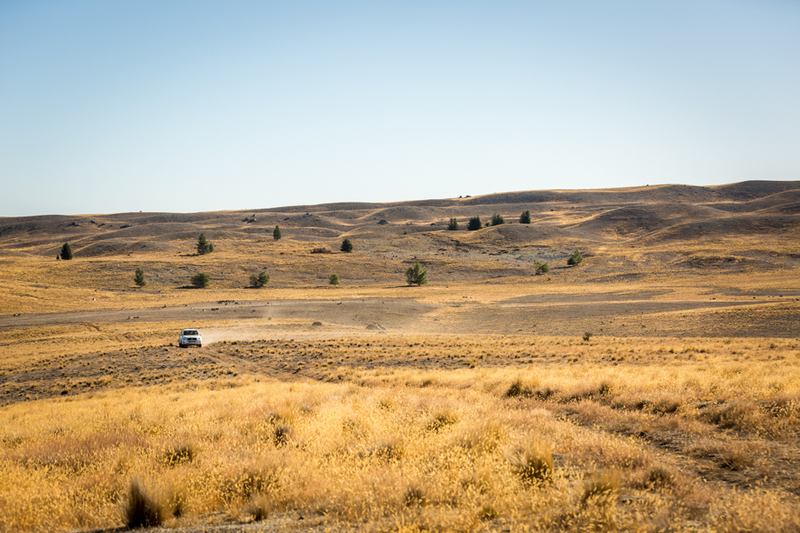 We started off at the Church of the Good Shepherd and took advantage of the long golden tussocks surrounding the area. 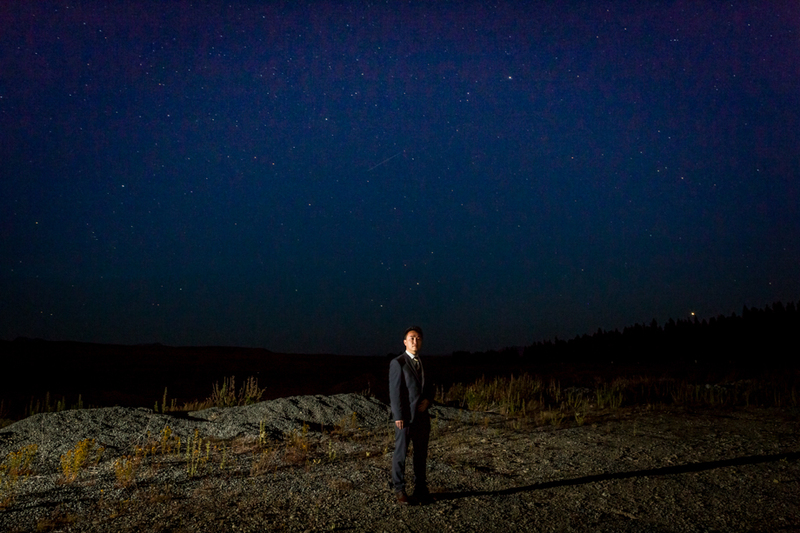 Then we shot over to a secret spot that I have loved since my childhood. 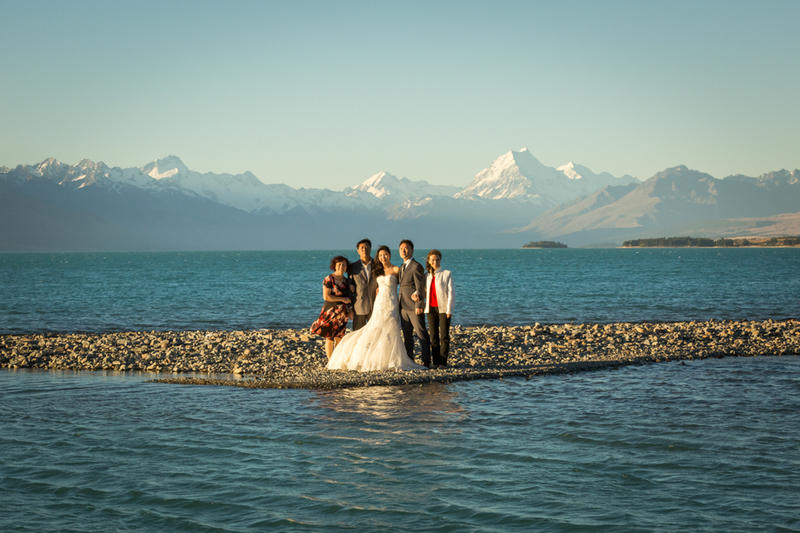 Bonus points if you can guess where these images were shot! 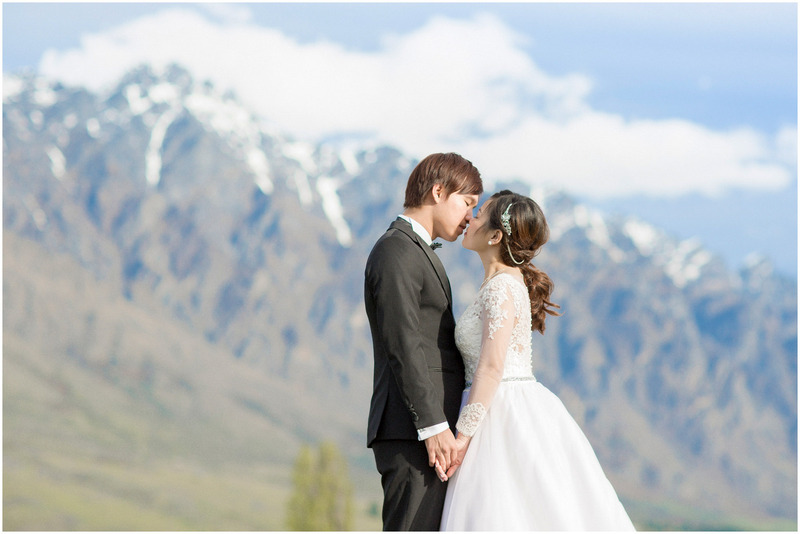 New Zealand’s Southern Alps made for a stunning backdrop. 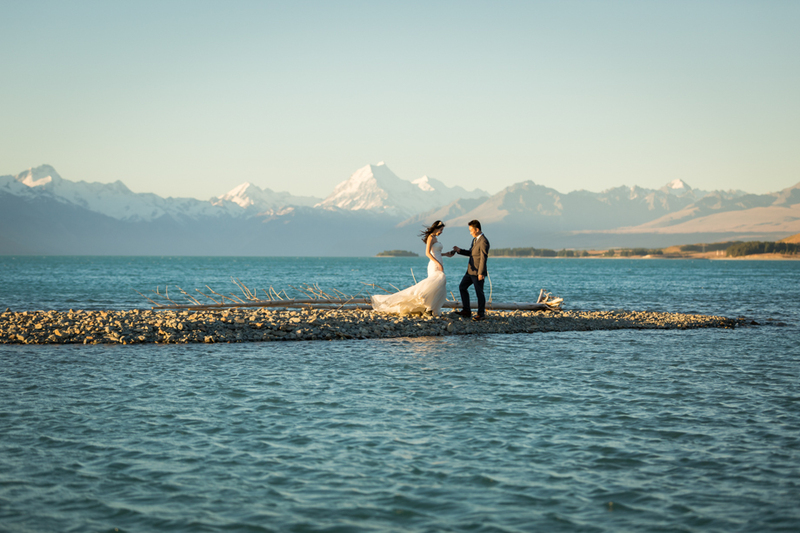 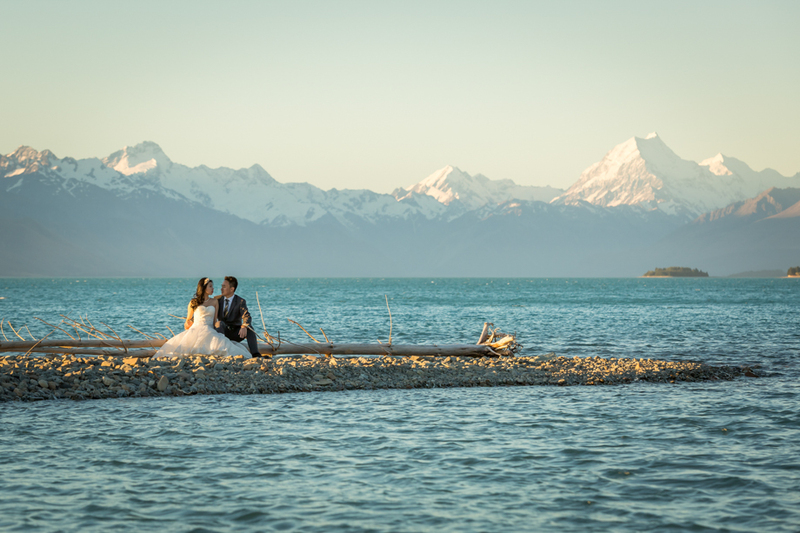 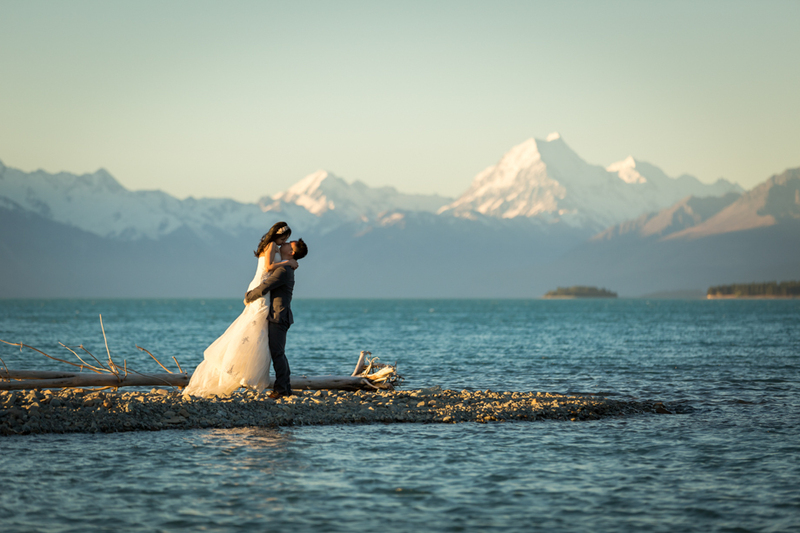 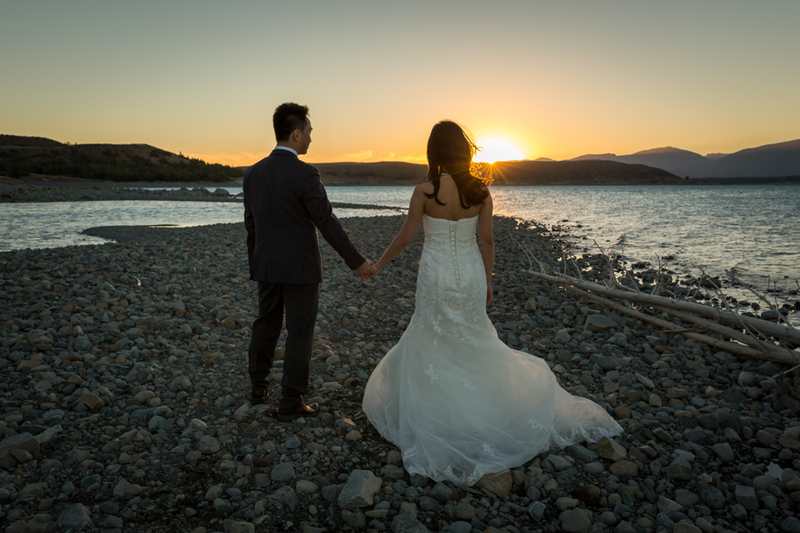 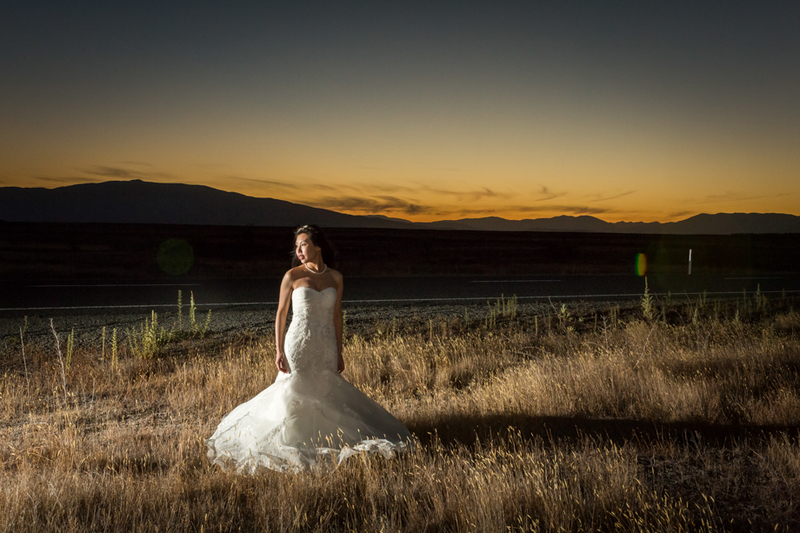 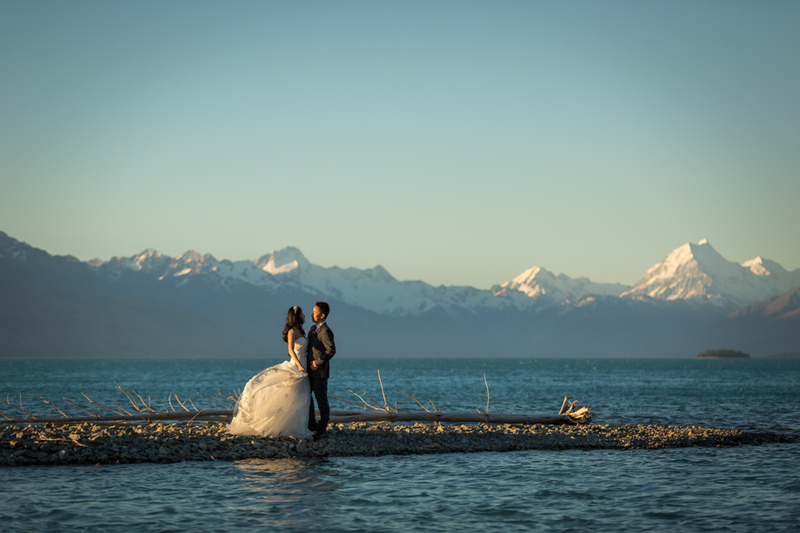 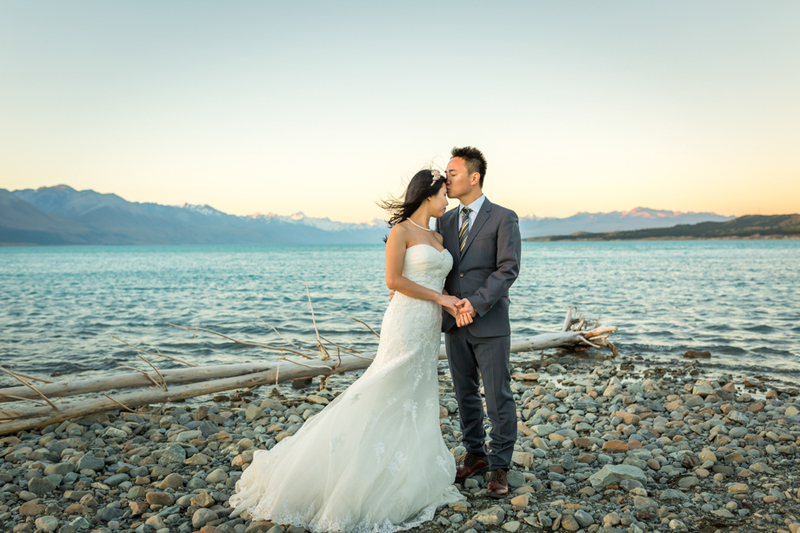 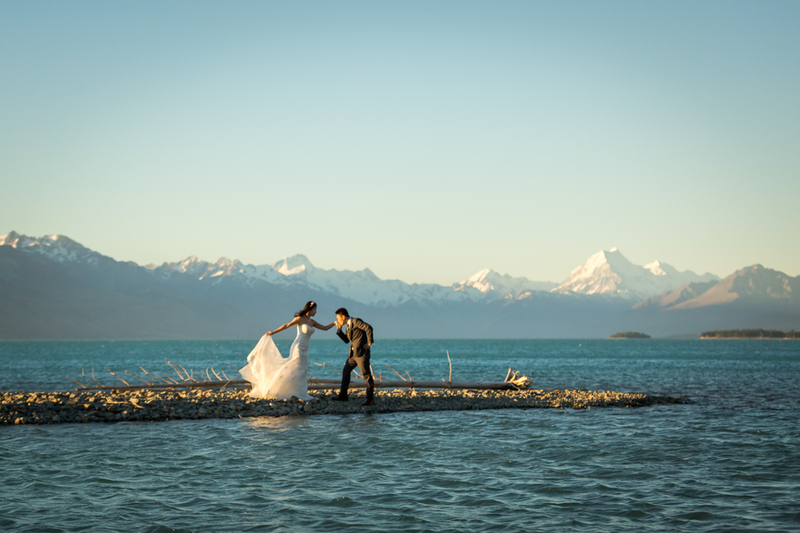 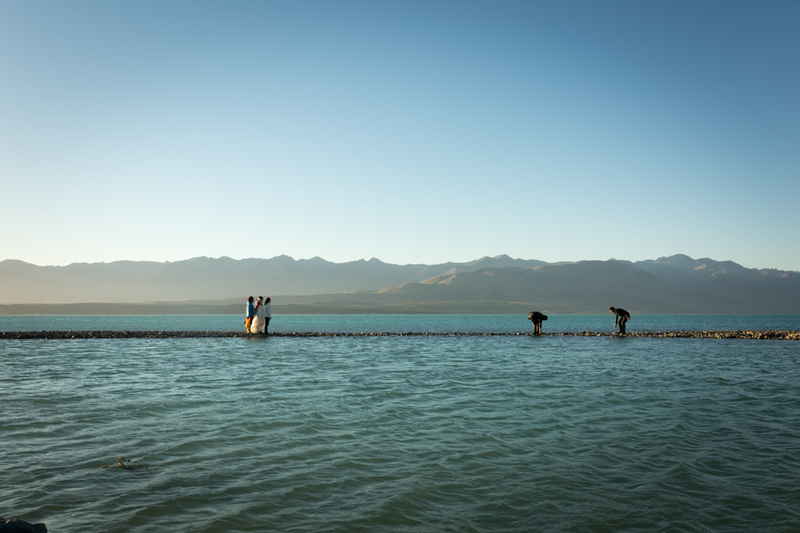 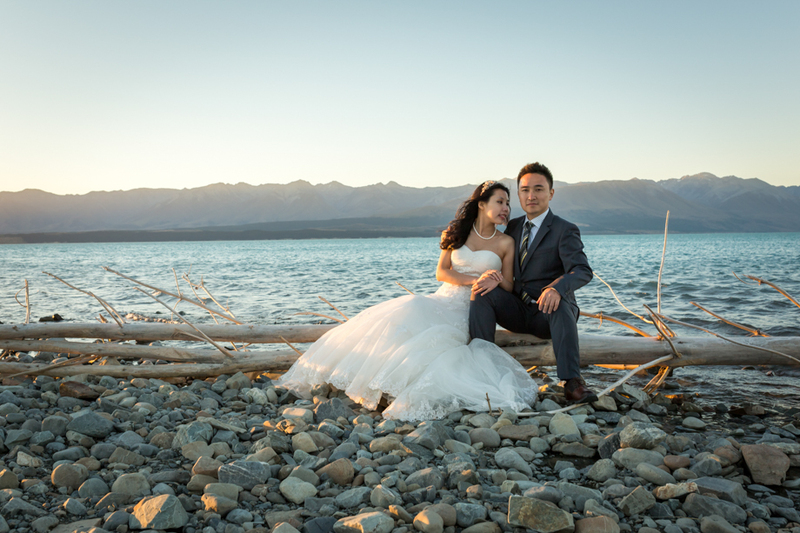 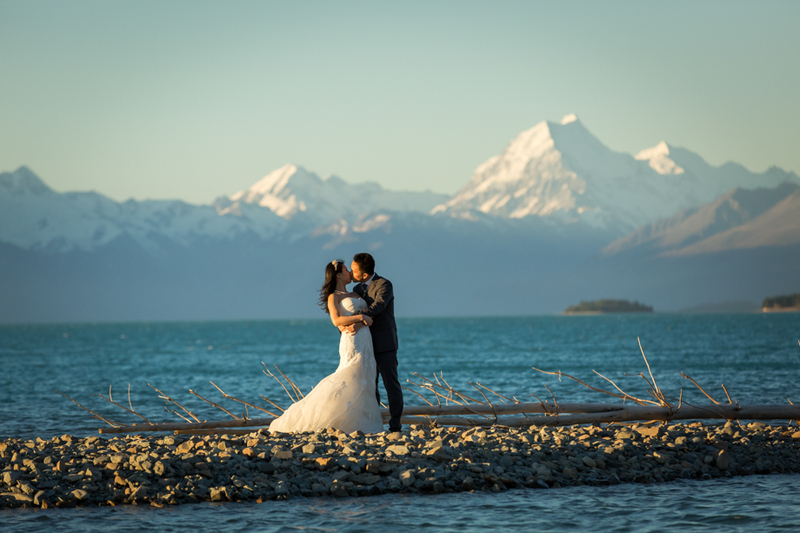 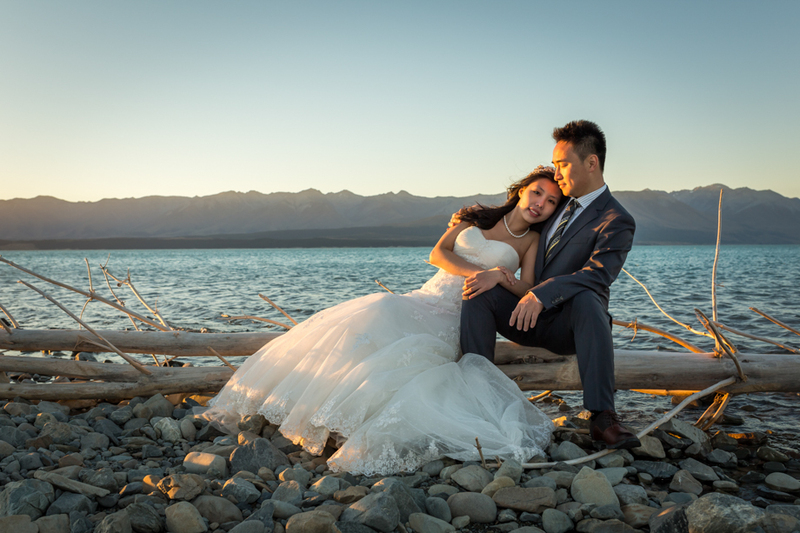 As the sun was dipping lower in the sky we shot over to Lake Pukaki and Christina and Owen made it onto a spit for a few special shots in front of Aoraki / Mount Cook. 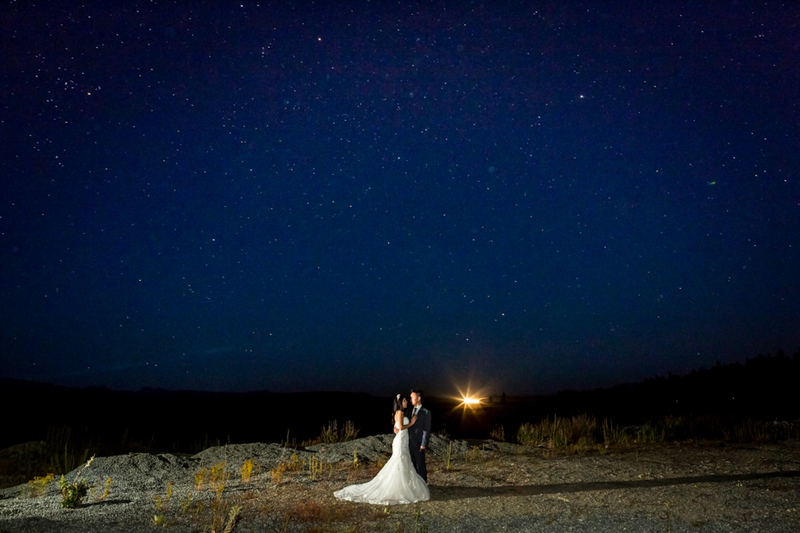 Christina really loves starry night wedding photography, so we took a break and later braved the chill night air to capture some shots around The Church of the Good Shepherd.